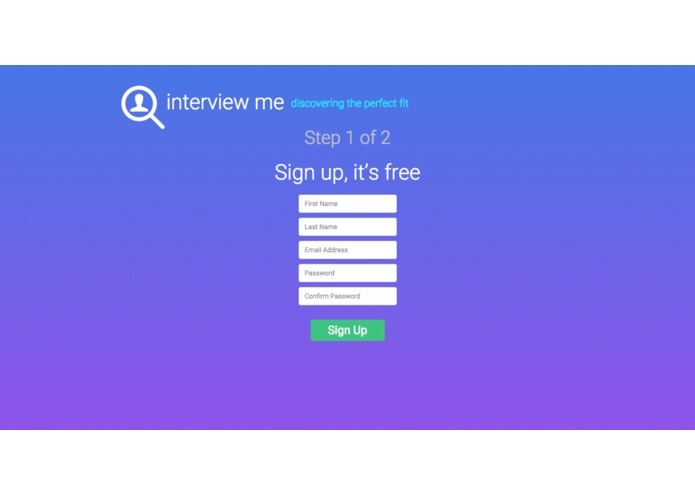 Our idea stemmed from the fact that it's very difficult for people, mostly students, to properly practice for an interview. 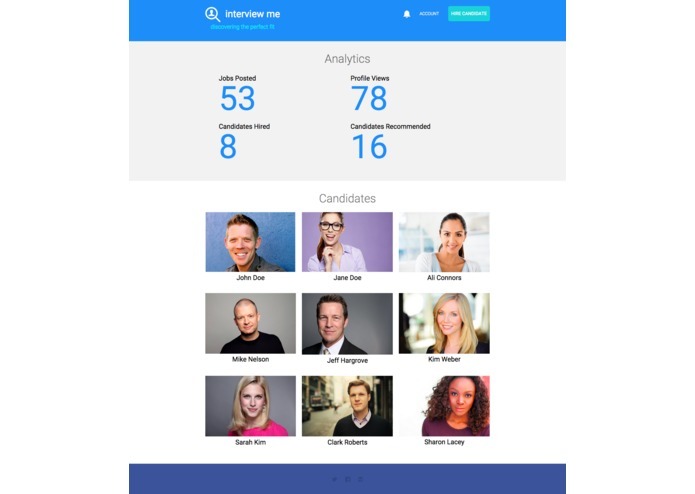 However, upon discussing the idea with hiring managers and recruiters from IBM, Microsoft, and Facebook, we realized that they too have difficulties in this space of finding candidates with the right set of skills. 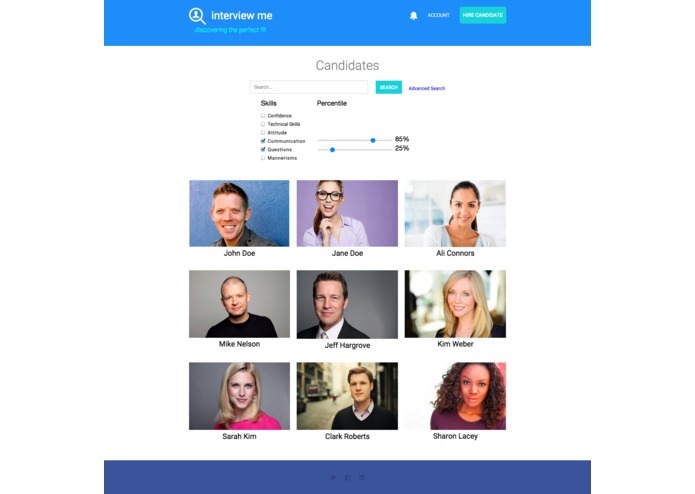 With Interview Me, we will change the way hiring managers search for the best candidates, as well as help candidates become more adept at interviewing. 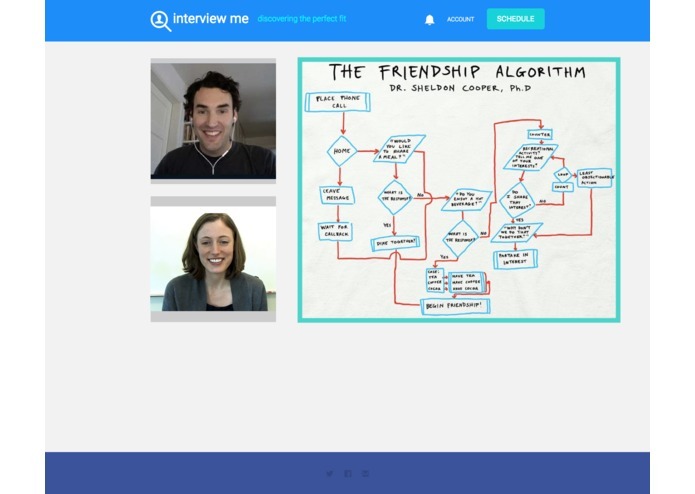 The 3 key features that distinguish Interview Me from other similar services are: a smart algorithm that ranks candidates based on the reviews and ratings of the alumni interviewer, a seamless experience with live video-chatting between the candidate and the interviewer, and the ability for a candidate to track the progress of non-qualitative skills. 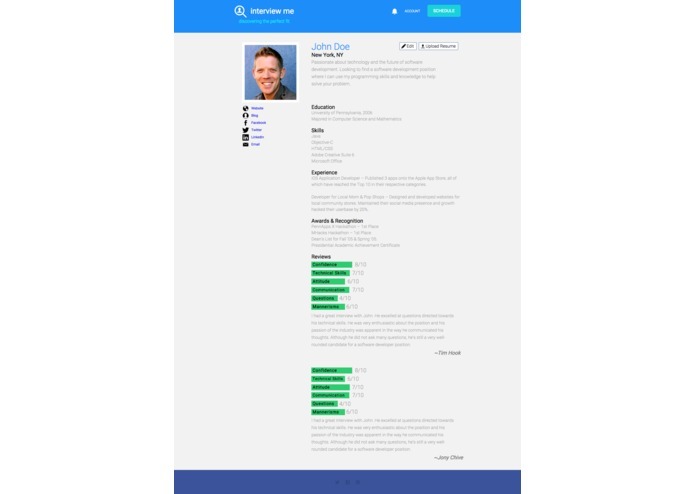 We even included the ability for companies and their hiring managers to easily sort through and filter out the best candidates with criteria such as the percentile rank for a specific soft skill. 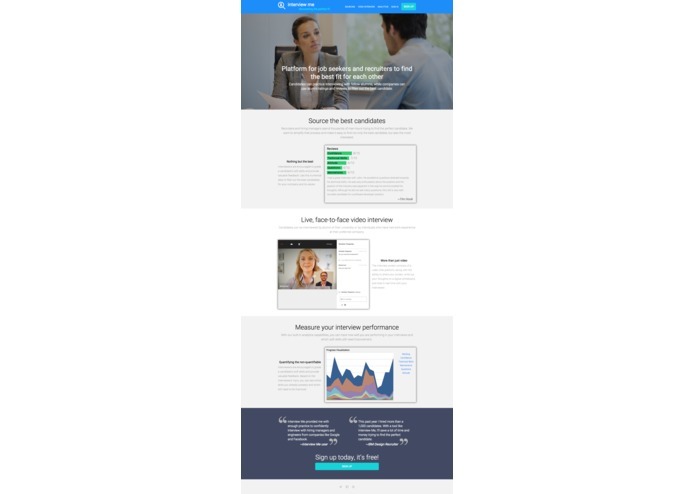 This ensures that only the most qualified are contacted by the companies. In the future, we hope to provide a platform for weaker candidates to become more impressive by recommending courses to take, books to read, and conferences/workshops to attend. 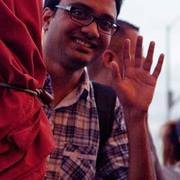 Anmol Rajpurohit is a graduate student (MS, Computer Science) at UC, Irvine. Runner-up at UCLA Developer's Contest 2014.